Pork Chops and Applesauce, Yum! 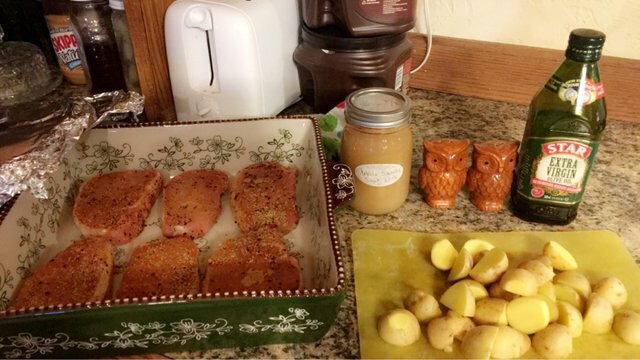 Seasoned pork chops and homemade applesauce (made by @andreager wife) so delicious. To top it off, I did gold Yukon potatoes cooked in olive oil. Yum Yum Yum!